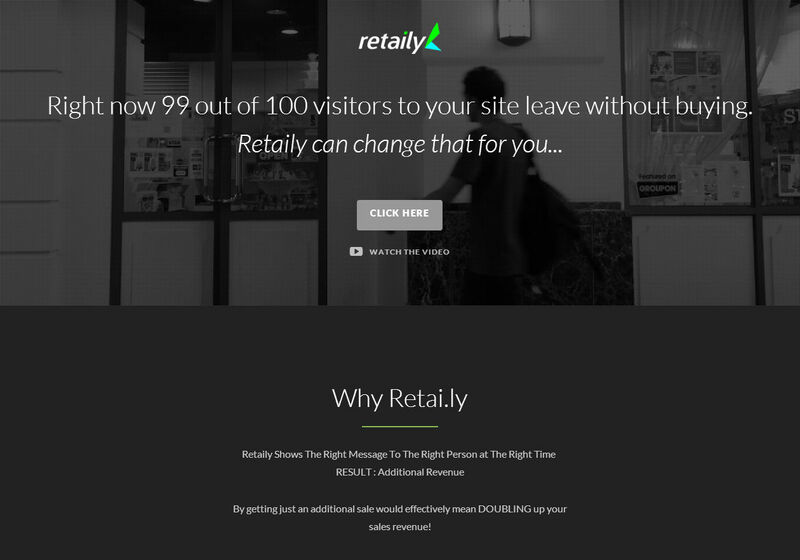 Retaily is a dynamic retargeting service that aims to help small and medium sized businesses reach visitors. Many online business realize that visitors who land on their site often leave without buying anything. These visitors are the ones that business owners should be targeting since they have shown interest in their products or services when visiting their site. If you had a choice, wouldn’t you rather reach someone who knows and have shown some form of interest in your brand, products and services? The statistics are quite bleak that with every 100 visitor that comes, 99 leave without buying anything. And these are considered lost prospects forever with no way to reach them if they did not leave any contact details behind. Retaily can change that. It’s able to measure the heat wave of visitors to determine their intention when they land on a site. Whether the customer was interested in a particular product or have added it to the cart without completing the purchase, Retaily is smart enough to show the right message back to that visitor once they leave the site. These come in the form of dynamic ads which will be shown when the visitor browse popular sites. InstanteStore merchants get to determine the type of discount or even offer free shipping to specific visitors. Compared to other retargeting service provider which normally shows generic ads to every visitor, Retaily is smart enough to determine whether the visitor was just browsing or have a genuine interest in the product based on the heat value that it detects. It will then offer the right ads based on that data to the right person at the right time with the right price.